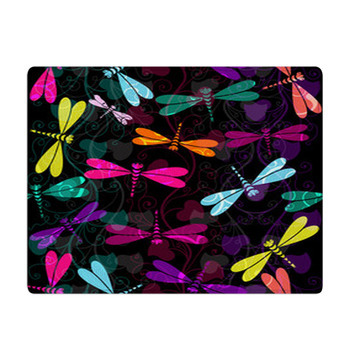 The dragonfly is a rare and mysterious animal, living its life near the wet marshes and ponds of the expansive landscape. 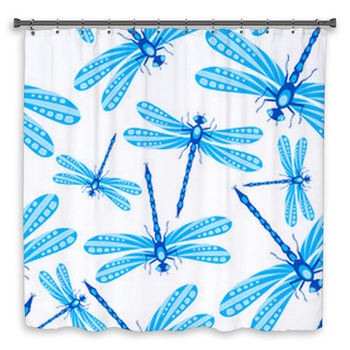 A seemingly perfect addition to a bathroom that needs a natural touch, utilize our custom dragonfly shower curtains in any home. 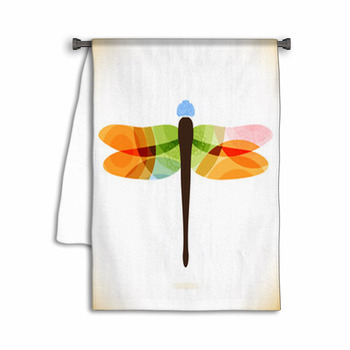 The dragonfly rests gently on the plants of the wetlands and can add grace to your washroom by adorning towels and bath mats. 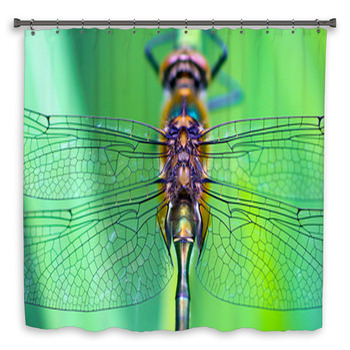 If you want color for your unique room, add our custom design of dragonflies soaring past a vibrant rainbow that arches over graceful plants in elegant form. 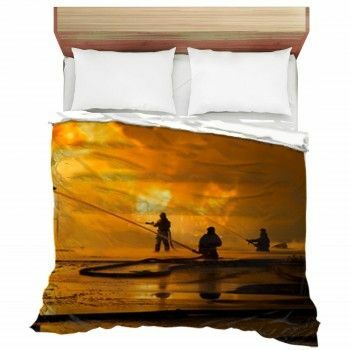 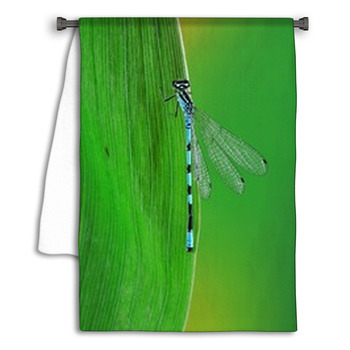 These images printed on bath mats or towels will enchant a room as only nature can. 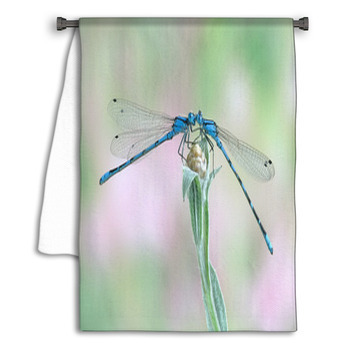 Lovers of fantasy will enjoy the magic brought about by these rare insects flying through their bathroom in natural pastel colors. 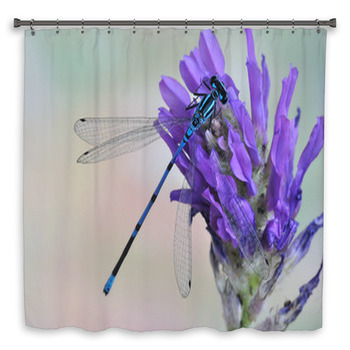 We have custom shower curtains, towels and bath mats to fit any color scheme from a soft purple to dark reds and browns perfect for your room. 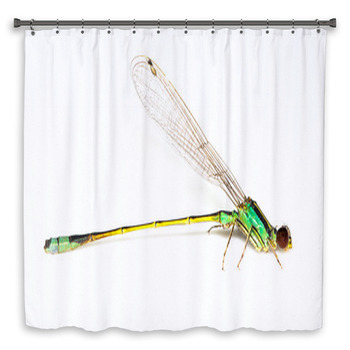 If you would like something a bit more scientific, we have realistic images of dragonflies on our custom bathroom items. 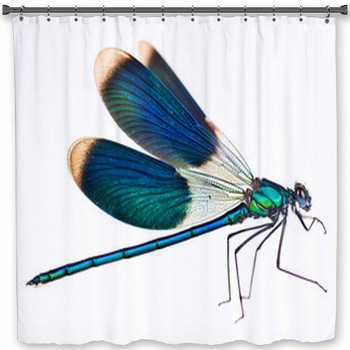 Biologists, students and those simply fascinated by the natural world will feel right at home next to the shimmering green and purple of a realistic dragonfly printed on a custom bath mat, towel or shower curtain. 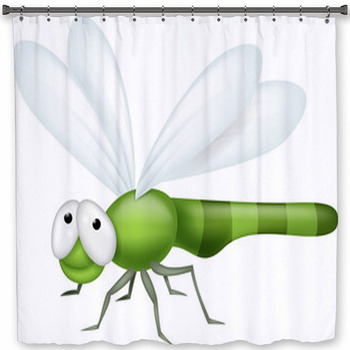 Study it yourself without trekking out into the secluded waterways that this interesting insect calls home. 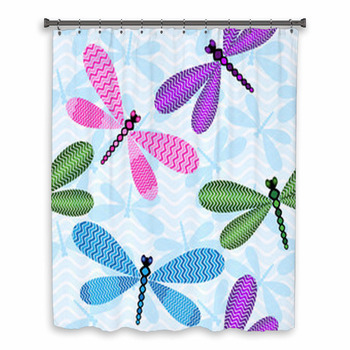 How fitting that they should find a home in your own bathroom? 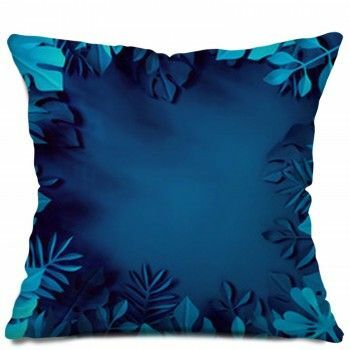 Regardless of the style of your own unique room, adding an element of natural beauty and wonder can be just what your overall design needs. 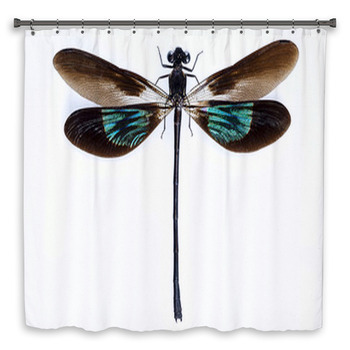 Maybe you will feel just like a bewildered child again, grasped by the fantasy of the dragonfly when resting on our custom shower curtains, towels and bath mats.